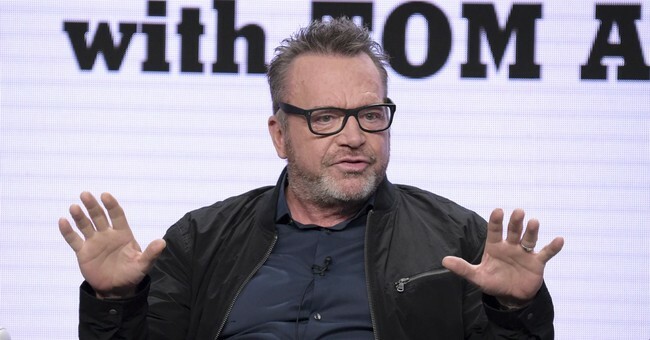 Tom Arnold isn’t someone you go to for intelligent conversation. The man is best known for being married to Roseanne Barr and has had precisely one decent movie role where he was Arnold Schwarzenegger’s partner in True Lies. That’s the entirety of why he’s famous. But, he is famous, and because of that, he has a big platform on social media. Of course, Arnold never provided a citation for that claim. And Arnold can’t provide a citation for that claim, because it’s complete and total BS. Keep in mind that Americans own somewhere in the neighborhood of 400 million guns. If 80 percent of us were shooting ourselves or family members, I’m pretty sure there would be news reports on this. The anti-gun media would latch onto this and pound it like a nail that doesn’t want to be driven down. They’d never give up on this position, and why would they? In reality, it would probably be effective. But they don’t, because it’s a made up number created by a bizarre mind so filled with hate for the Second Amendment that he can’t even see reality. Do negligent discharges happen? Yes. When they happen, are they tragic? Absolutely. But they are nowhere near the epidemic Arnold claims. Not even close. After all, most of us don’t even know anyone who has shot themselves or a family member. If it were even close to that number, we’d probably all know someone it happened to, but most of us don’t. A few do, mind you, but those are tragic anomalies. They’re not the norm. So what led to Arnold’s nonsense? It’s probably a case of pulling that percentage out of thin air but believing it’s probably accurate because of the flawed claim that guns in the home increase the odds of someone in the household being shot. That study failed to differentiate between lawful gun owners and unlawful owners. Unlawful owners are often involved in other crimes, and that was why people in the household were shot, not because there was a gun there. Of course, that’s being charitable to Arnold, a consideration I have no doubt he would refuse me if our roles were reversed. The truth of the matter is, no matter where it came from, it’s wrong. It’s horribly, blatantly wrong. Then, to make matters worse, some will accept that claim at face value and try and share it as fact. Luckily, Arnold was ratioed all to hell and back, meaning fewer people liked and retweeted it than who commented to tell him he was a freaking idiot. That’s a truly good sign. But we all know that someone else is going to use that “statistic” and claim it as fact. They’ll probably even present it, then yell about how you won’t face facts. Well, you can. You just don’t want to face made-up facts with no basis in reality. And really, who can blame you?